The compact and lightweight VX series of amps is joined by a new 50W model for bass, featuring Nutube, the new vacuum tube. 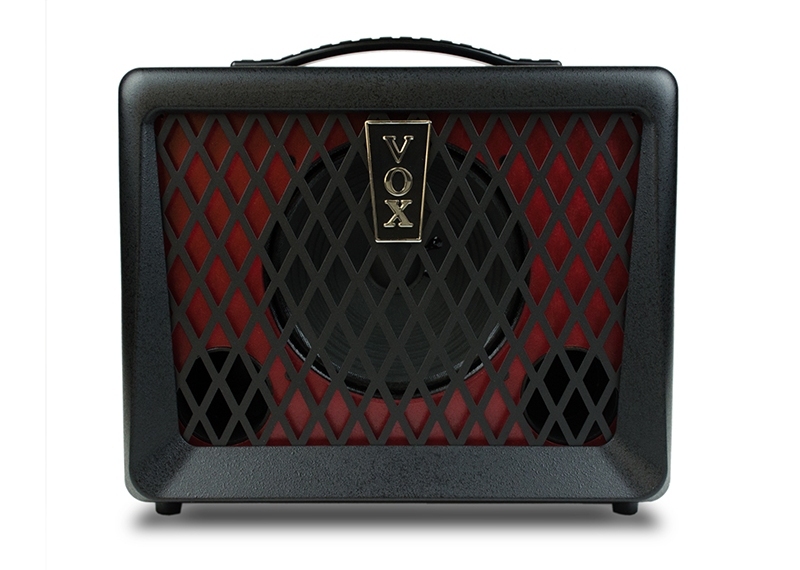 Its distinctive advantages include a VOX original eight-inch speaker, a unique bass reflex structure that ensures ample power and rich low-frequency reproduction, and warm vacuum tube sound. There’s also a four-band EQ that allows detailed sound-shaping, a compressor effect that’s indispensable for bass, and an overdrive effect that provides everything from subtle grit to high gain overdrive. Also provided are a full complement of input/output jacks, including an AUX IN jack, headphone jack, and a DIRECT OUT jack for direct connection to your PA system. Aesthetically, the VX50 BA sports a red color scheme, a traditional VOX vertical logo, and a metal grille for a distinct and edgy look. By using Nutube, the new vacuum tube, this amp achieves 50W of high output power while being more compact, lightweight, and power-efficient. You’ll enjoy the rich overtones and sonic power that you expect from vacuum tubes, as well as output power with a tone that’s clear, yet warm and fat. The amp is equipped with a four-band EQ: BASS, LO MID, HI MID, and TREBLE. This provides the detailed sound-shaping control needed for bass. With the VX50 BA, you’ll have the means to adjust your sound in a wide range that covers any style. Turning the COMP switch on engages the compressor circuit, giving you a sound with compression and sustain. You’ll enjoy the consistent dynamics, and the tight and stable sound. Turning the DRIVE switch on applies overdrive, delivering a punchy sound that ranges from mild overdrive to full-on saturation. 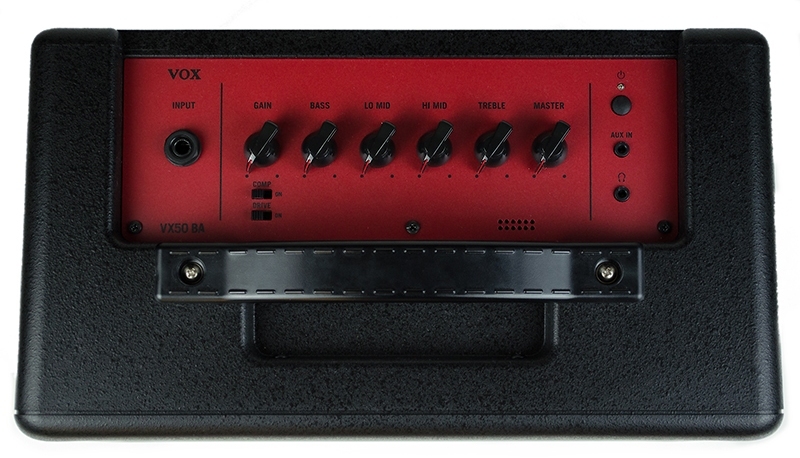 If both the DRIVE switch and COMP switch are on, the overdrive sound is mixed with the low range of the compressed clean sound, giving you a unique sound that is distorted yet preserves the low-frequency range.